Jo is a registered Nutritional Therapist with over 10 years of clinical experience. She has a passion for delicious, nourishing, real food. She believes in the power of nutrition to optimise health. She is inspired by and loves working with her clients, both on a one to one basis and in group sessions. Jo shares her ideas and knowledge to help her clients improve their eating habits, make healthier food choices and get into more fulfilling lifestyle habits so as to feel their best. Jo started her training at the University of West London (née TVU) in 2003. Since graduating with a BSc degree in Nutritional Medicine she has worked with hundreds of clients of all ages, with a variety of health issues. We are all different, with unique genetic make-ups, health concerns and lifestyles. Our distinctiveness means that no ‘one’ diet suits all. Jo considers each client as an individual to support their health goals by taking into account their personal story with understanding and compassion. Her approach is always to identify and support the root cause of a problem, rather than simply suppressing the symptoms. Jo creates bespoke plans, tailored to individual need and health goals, that use a combination of nutritional and lifestyle changes to help transform health and energy levels, and benefit good health for the future. 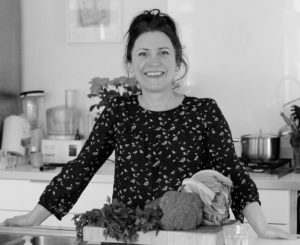 She believes that nutrition advice should be practical, clear and easy to follow, whilst still involving tasty food to ensure it is sustainable for a client. Over the years, as well as advising clients in her busy East Bergholt clinic, she has run a wide range of health talks, courses and cookery workshops to the public covering a range of topics including weight management, digestion, female health, energy, sleep and mood. Jo is also employed by numerous companies to present corporate wellness talks and programmes to inspire employees make positive lifestyle changes to optimise their energy levels and drive in the workplace. Jo is fully registered with British Association for Applied Nutrition and Nutritional Therapy (BANT) and Complementary and Natural Healthcare Council (CNHC), the government supported regulatory body for complementary therapies. She uses evidence based scientific research to support her work and continually keeps up to date with new research and publications.